In its third season on The CW, “The Originals” did what very few spin-off series ever manage to accomplish: it became more entertaining than the hit TV show (in this case, “The Vampire Diaries”) it was spun off from. 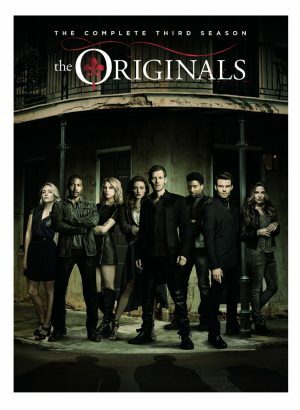 Set in New Orleans, “The Originals” follows original vampire-werewolf hybrid Klaus Mikaelson (the fantastic Joseph Morgan) and his vampire brother Elijah (Daniel Gillies) as they protect each other and their ever-growing brood, which now includes Klaus’ infant daughter, Hope; Hope’s vampire-werewolf hybrid mother, Hayley (Phoebe Tonkin); and the Mikaelson’s long-lost sister who also just happens to be a witch, Freya (Riley Voelkel). Following Klaus’ vengeful actions at the end of season two, the third season picks up with the Mikaelson brothers estranged from each other as they face their greatest danger yet: a fatal prophecy that states that the Mikaelson siblings will soon fall, one by friend, one by foe and one by family. With the first vampires each Mikaelson (including sister Rebekah, played by Claire Holt) sired suddenly showing up in New Orleans—and many more vengeful vamps on the way—it’s up to Klaus, Elijah and Freya to figure out who poses the greatest threat to them and stop the prophecy from coming true before it’s too late. With the stakes higher than ever before (no pun intended), the game-changing third season of “The Originals” takes fans on a wild roller coaster ride where no one—not even the original family of vampires the supernatural series is centered on—is safe. Blood (and tears) will be shed by the time viewers get to the jaw-dropping season finale, which will leave fans questioning if the Mikaelsons can ever trust certain characters again. 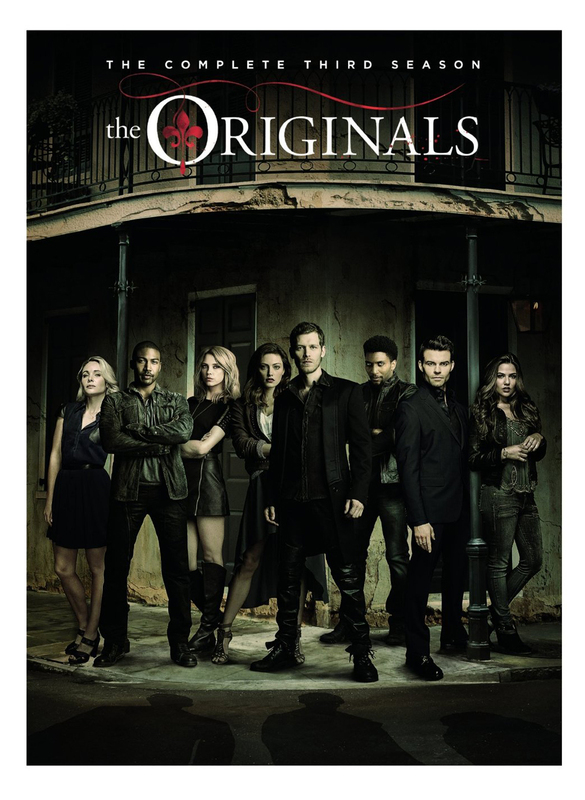 “The Originals: The Complete Third Season” DVD set (Warner Bros. Home Entertainment, MSRP: $44.98) not only features all 22 episodes from the thrilling third season, but also more than an hour of special features—including more than 30 unaired scenes spread out over all five discs. 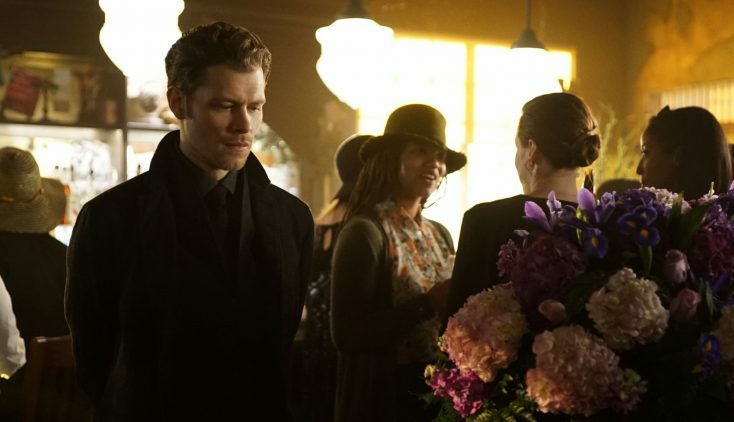 While some of the unaired scenes are mere seconds in length, like Klaus watching over baby Hope while she’s sleeping, others run for a few minutes and add some interesting exchanges between the characters. Viewers will see Vincent (Yusuf Gatewood) address the New Orleans witches after (SPOILER ALERT) the ancestors are finally defeated; Marcel (Charles Michael Davis) stand up for Rebekah when Camille (Leah Pipes) wants to kill the first vampire the Mikaelson sister ever sired, Aurora (Rebecca Breeds); and Hayley and her husband Jackson (Nathan Parsons) share a touching moment on the bayou as they talk about making a home for themselves in the French Quarter. There are also a couple of lengthy flashback scenes, including when Elijah makes the decision to leave behind his one-time love interest Aya (Tracy Ifeachor) so that he can flee from his deadly father Mikael (Sebastian Roché) with Klaus and a scene that takes place in 1453 Greece when Elijah returns to find Aya with the first vampire he ever sired, Tristan (Oliver Ackland), and she tells him that if he ever cared for her, he would leave again. It would have been nice if these scenes were included with their respective episodes rather than lumped together disc by disc (there is an insert in the packaging that says which episodes include unaired scenes, but no way to tell which scenes go to which episode other than to guess), but there’s still some good stuff here fans will want to check out. The fifth disc also includes several other extras, including the fun featurette “Charles Michael Davis in the Big Easy.” Running almost eight minutes in length, the featurette follows Davis as he answers questions from fans via Twitter and gives viewers a tour of three of “The Originals’” most prominent sets: Marcel’s loft, the Mikaelson’s compound and Rousseau’s bar. Viewers will learn that each set is a recreation of a real place in New Orleans, which prop Davis would most like to take home with him and even where the cast likes to hangout after a long day of shooting. There’s also a three-minute gag reel that consists mainly of the cast messing up their lines and repeatedly dropping the F-bomb. There is one particularly funny clip, though, where Andrew Lees accidentally tells Joseph Morgan that his character Lucien sired Klaus and Morgan quickly corrects him and a hilarious moment where Gillies tells Holt “I feel like I’m punching you in the ****” while staking her. Viewers can see more of the cast out of character during the “2015 Comic-Con Panel” feature, which includes interviews with Morgan, Gillies, Tonkin, Davis, Pipes, Gatewood, Danielle Campbell (who plays Davina Claire), series creator Julie Plec and executive producer Michael Narducci. While the panel was filmed before season three premiered and therefore contains a lot of information fans of the show now know, the extra is still worth a watch to see the cast’s chemistry together and learn such fun facts as who gets along with the babies (Hope is played by two babies as well as a rubber baby) best. The Q&A session with fans after the panel also produces some interesting tidbits, such as which characters the actors would want to play if they weren’t playing the roles they currently have and how they would like their characters to die (or, in Davina’s case, die again) should the unfortunate time ever come. Rounding out the extras is a three-minute tourism featurette spotlighting where “The Originals” films, “Come Visit Georgia,” that highlights the many worldwide locations the city of Georgia plays in the series and how great it is to shoot there. Unless your idea of entertainment is bad acting and cheesy lines like crew members doing a séance and someone walking by asking if they’re asking for some things to be added to the production budget and the crew members replying that they don’t have to ask because “Georgia is so budget-friendly,” then you can probably skip this extra. With news that season four of “The Originals” won’t premiere on The CW until midseason, “The Originals: The Complete Third Season” DVD release should hopefully keep plot points fresh in viewers’ minds for when the series finally does return in 2017 while also giving fans a much-needed Mikaelson fix until then. Although the shortened season order doesn’t bode well for the future of the series, here’s to hoping that The CW isn’t planning on putting a stake in “The Originals” just yet. For if there’s anything season three has shown audiences, it’s that “The Originals” still has a lot of life to it.